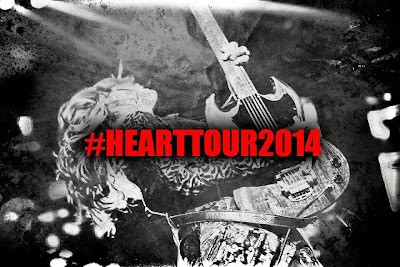 Heart have announced six more dates for their 2014 US Tour. The new concerts are scattered throughout the band’s previously-revealed schedule, which starts January 31 in Shawnee, OK.
A list of the newly-added dates is below; tickets go on sale this Friday, December 20 at 10am EST. For a full list of tour dates, visit Heart’s website here. Heart just wrapped up their 2013 live shows with a Vancouver date and a special hometown holiday concert at Seattle’s Benaroya Hall that was recorded by AXS TV. “Heart and Friends: Home For The Holidays” featured performances by Sammy Hagar, Shawn Colvin, Richard Marx and Train’s Pat Monahan.